As the poultry and game birds industry has evolved, a considerable change in poultry farming equipment has occurred. Nowadays, a large percentage of production houses have transformed their manual production (for instance egg collection), to modern mechanical systems. Equipment designed for poultry production must be of high quality and stand for long-lasting use. Dedicated industrial designers are bringing innovations in equipment, which positively impact and benefit the industries they serve. Poultry equipment designers now offer economical, practical and environmentally-friendly solutions to poultry farming industries, such as broiler breeders, egg production systems including community nests or single-hole systems, curtain cages and colony housing equipment. Management systems have also improved considerably, with bulk feed handling, and sophisticated watering solutions, as part of crucial components of top-performing poultry farming broiler flock. This equipment meets numerous standards in terms of respect for the environment and animal breeding, with advanced environmental control and complex associated production computer control systems. Nowadays, extensive lines of poultry equipment and supplies are offered to farm producers, making poultry production a snap, with many styles to choose from ! Since nests offer hens an ideal environment, equipment designers are paying special attention to laying nests, in order to provide farmers and poultry producers with hygiene, optimal egg quality, as well as premium comfort for their hens. Egg handling equipment has been optimized to handle eggs carefully, which is essential to preserve the quality of the egg production. Equipment includes palletizing robots for trays, egg packers, transport systems, elevator egg transport systems, etc. Manure belts and slats help maintain a healthy climate for flocks. 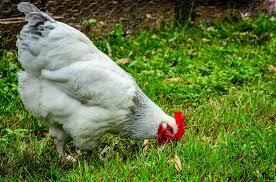 The living surfaces must remain clean, an essential condition for optimal aviary systems comfort and support to poultry. With customized management solutions, every situation is handled to reach maximum return on investment. Broilers have become much larger, growing faster than ever, offering more breast meat. But this means that flocks are consuming more feed at younger ages than before. Therefore, equipment must be more efficient, with increasing demand for water. A modern broiler house must be equipped with efficient cooling equipment capable of utilizing considerable amounts of water, when the weather turns hot. Equipment designers have focused on the need for ample water supply, as well as food storage, allowing birds and their farmers, to perform successfully. The housing equipment not only allows proper shelter for flocks, keeping them safe from unwanted predators, but also provides a safe and healthy environment for a large range of birds, such as chickens, turkeys, game birds, quails, etc.